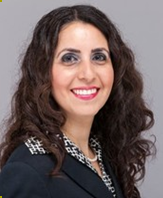 Shirin has experience handling employment, contract, landlord-tenant, business, toxic tort, mold, construction defect, collections, and general civil litigation matters. She has prevailed on numerous law-and-motion matters. She was named a Southern California Super Lawyer – Rising Star in 2007, 2009, and 2010, and is fluent in Farsi.